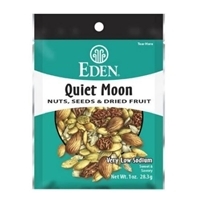 Dry roasted almonds, modified starch (potato), natural & artificial flavors, cocoa powder (processed with alkali), salt, acesulfame potassium, sucralose.allergy information: manufactured on shared equipment. May contain other tree nuts, peanuts, wheat, soy, milk and sesame seeds. May contain shell pieces. 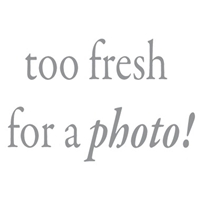 Brand/Manufacturer: Fisher John B. Sanfilippo & Son, Inc. 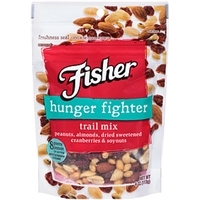 Dried sweetened cranberries (cranberries, sugar, sunflower oil), almonds, cashews, vegetable oil (peanut, cottonseed, soybean and/or sunflower seed), sea salt. May contain peanuts and/or other tree nuts. Contains cashews from india, brazil, vietnam, indonesia. 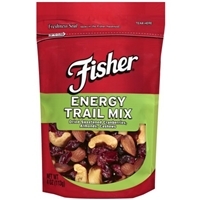 Peanuts, almonds, dried sweetened cranberries (cranberries, sugar, sunflower oil), soybeans, vegetable oil (peanut, cottonseed, soybean, and/or sunflower seed), sea salt. 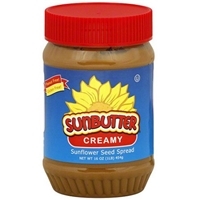 Sunflower seed, sugar, mono-diglycerides to prevent separation, salt, and natural mixed tocopherols to preserve freshness. Made on equipment that processes soybeans. Processed in a peanut free and tree nut free facility. 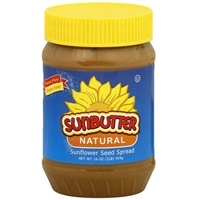 Sunflower seed, dehydrated cane syrup, salt, and natural mixed tocopherols to preserve freshness. Made on equipment that processes soybeans. Processed in a peanut free and tree nut facility. 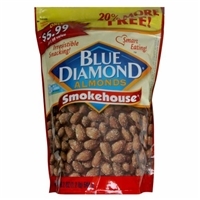 Brand/Manufacturer: blue diamond almonds BLUE DIAMOND GROWERS, INC.
Almonds, canola oil and/or safflower oil, salt, maltodextrin, natural hickory smoke flavor, yeast, hydrolyzed corn and soy protein and natural flavors.peanut free. May contain other tree nuts. Brand/Manufacturer: Eden United Natural Foods, Inc.
ORGANIC ROASTED PUMPKIN SEED, ORGANIC SUNFLOWER SEED, ORGANIC TAMARI ROASTED ALMONDS (DRY ROASTED ORGANIC ALMONDS, ORGANIC TAMARI SOY SAUCE (WATER, ORGANIC SOYBEANS, SEA SALT)), ORGANIC THOMPSON RAISINS, DRIED MONTMORENCY CHERRIES (MONTMORENCY CHERRIES, ORGANIC EDEN APPLE JUICE CONCENTRATE, ORGANIC EDEN SAFFLOWER OIL). Brand/Manufacturer: hamakua macadamia nut pancake mix Family Foods International Inc.
Pancake mix: enriched bleached flour (wheat flour, niacin, reduced iron, thiamin mononitrate, riboflavin, folic acid, may contain malted barley flour), sugar, dextrose, leavening (sodium bicarbonate, sodium aluminum phosphate, monocalcium phosphate), soy flour, canola or soybean oil, salt, buttermilk, guar gum, sodium stearoyl lactylate. Lilikoi (passion fruit) syrup: maui natural cane sugar, water, passion fruit juice from concentrate, citric acid, cellulose gum, n/a passion fruit flavor, sodium benzoate and potassium sorbate as preservatives, salt. 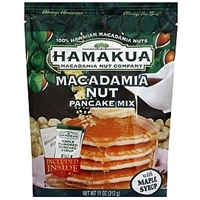 Macadamia nuts: dry roasted hawaiian macadamia nuts.pancake mix: contains: wheat, soy and milk. 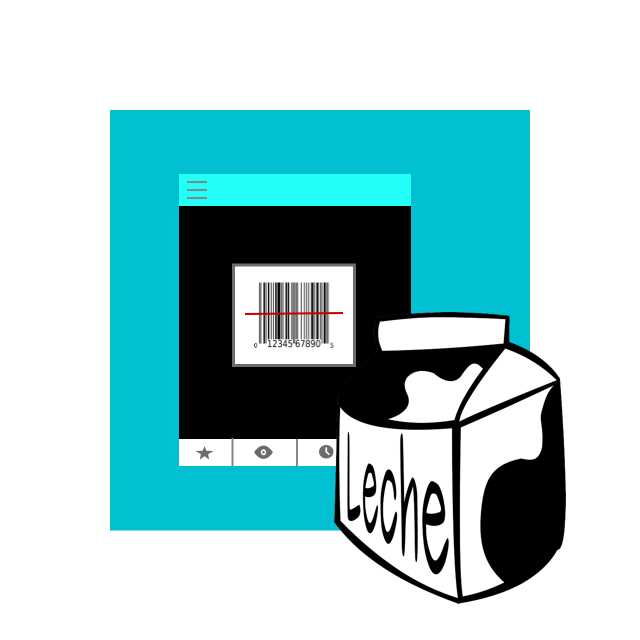 Made on equipment that makes products containing eggs and tree nuts. 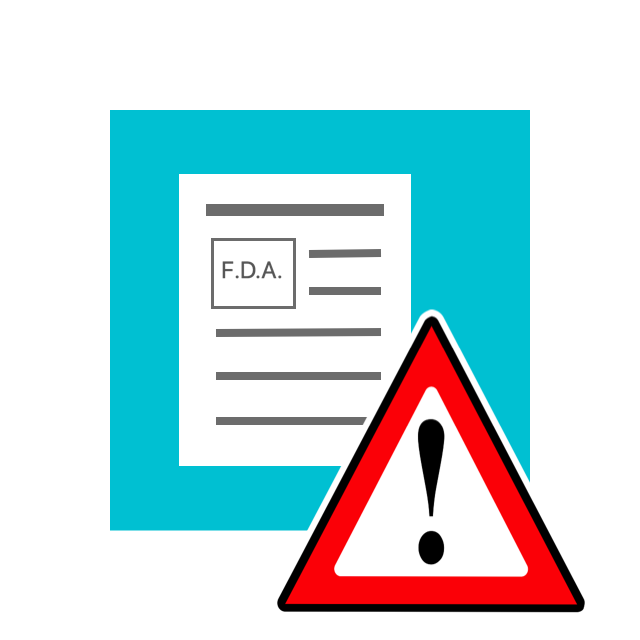 Pancake mix: enriched bleached flour (wheat flour, niacin, reduced iron, thiamin mononitrate, riboflavin, folic acid, may contain malted barley flour), sugar, dextrose, leavening (sodium bicarbonate, sodium aluminum phosphate, monocalcium phosphate), soy flour, canola or soybean oil, salt, buttermilk, guar gum, sodium stearoyl lactylate. Maple flavored syrup: maui natural cane sugar, water, n/a maple flavoring, cellulose gum, sodium benzoate and potassium sorbate as preservatives, salt and caramel color. 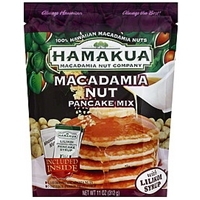 Macadamia nuts: dry roasted hawaiian macadamia nuts.pancake mix: contains: wheat, soy and milk. Made on equipment that makes products containing eggs and tree nuts. Milk chocolate (cacao [fair trade certified by fair trade usa. 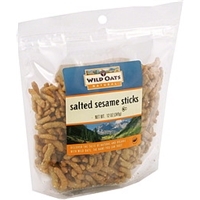 25% fair trade certified ingredients], organic milk powder, cane sugar [fair trade certified by fair trade usa. 25% fair trade certified ingredients], cocoa butter [fair trade certified by fair trade usa. 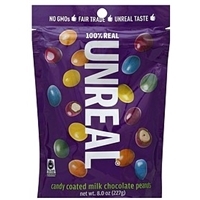 25% fair trade certified ingredients], organic blue agave inulin, organic sunflower lecithin, vanilla), peanuts, cane sugar, calcium carbonate, colored with (red cabbage juice, beetroot juice, carrot juice, hibiscus juice, annatto extract, turmeric extract), gum arabic, vanilla extract, carnauba wax & beeswax. Gluten free.contains milk & peanuts. May contain tree nuts, soy, wheat. 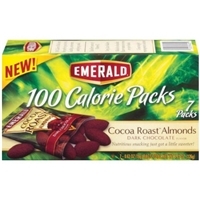 Milk chocolate (cacao [fair trade certified by fair trade usa. 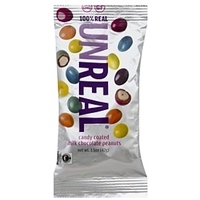 25% fair trade certified ingredients], organic nonfat milk powder, cane sugar [fair trade certified by fair trade usa. 25% fair trade certified ingredients], organic milk powder, cocoa butter [fair trade certified by fair trade usa. 25% fair trade certified ingredients], organic blue agave inulin, organic sunflower lecithin, vanilla), peanuts, cane sugar, calcium carbonate, colored with (red cabbage juice, beetroot juice, carrot juice, hibiscus juice, annatto extract, turmeric extract), gum arabic, vanilla extract, carnauba wax & beeswax. Gluten free.contains milk & peanuts. May contain tree nuts, soy, wheat. 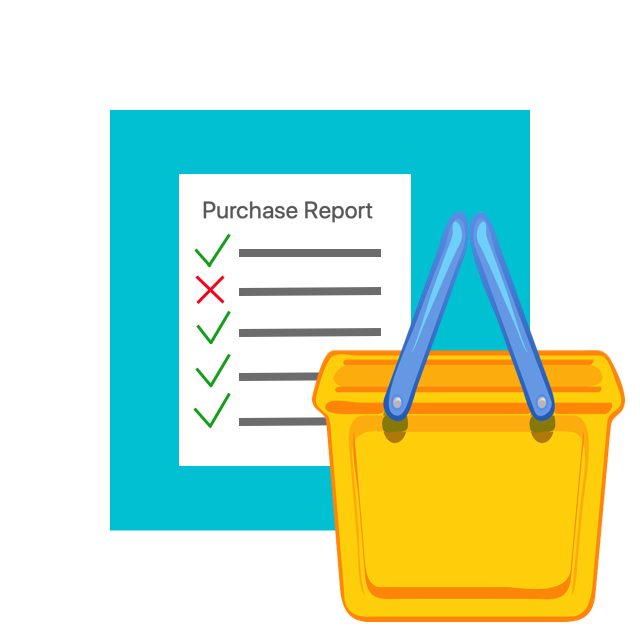 Sugar, glucose syrup, hydrogenated, vegetable oil, flour (wheat rice), skimmed milk powder, cocoa butter, lactose, cocoa, butterfat, whey powder, humectan (glycerol), salt, emulsifiers (sunflower lecithin, polyglycerol polyricinoleate), vanilla, raising agents (sodiumbicarbonate), yeast, malt, extract.may contain peanuts, nuts and soya traces. 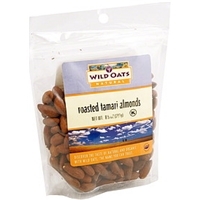 Almonds, organic wheat, free tamari (water, organic soybeans, sea salt, alcohol).made in a plant that processes peanuts, tree nuts, soy, wheat (gluten), and milk products. Unbleached wheat flour, non-hydrogenated soybean oil, sesame seeds, bulgur wheat, salt, beet powder and tumeric.made in a plant that processes peanuts, tree nuts, soy, wheat (gluten) and milk products.